It’s greener than fracking and less risky than deep-water rigs. It has been a good month for American energy development. The tax reform signed by President Trump contained a provision allowing for oil exploration in the Arctic National Wildlife Refuge. Last week the Interior Department proposed opening up wide swaths of territory offshore. This is good policy for a lot of reasons, but the least obvious is that it will help the environment. 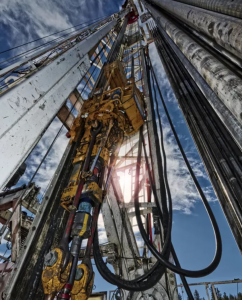 Despite howls from the green lobby, the truth is that it’s less hazardous to drill for oil on land and in shallow waters using conventional rigs. BP’s Deepwater Horizon was drilling in about 5,000 feet of water when it exploded in 2010. If the accident had occurred on land or in shallow seas, the spill could have been contained in three days instead of three months. The company took the blame for the disaster, paying $19 billion, but I blame U.S. environmental policy for chasing oil producers further and further out on the risk curve. For more than 40 years, the U.S. government has had a moratorium on drilling in shallow water, putting nearly 100 billion barrels out of reach. This overregulation has been neither prudent nor partisan. President George H.W. Bush, a former oilman, enacted a separate and redundant moratorium in 1990; Bill Clinton extended it in 1998. And approval rates for drilling permits on federal lands plummeted during the Obama administration.